Many IT organizations are moving to the cloud. In fact, just about all IT resources have made the leap to being cloud-based. Cloud infrastructure is being provided by AWS®, Google Compute Engine, and other Infrastructure-as-a-Service providers. G Suite™ and Microsoft® Office 365™ have shifted the productivity platform to the cloud. Great web applications are replacing on-prem solutions. One area where that cloud transformation hasn’t really impacted is Microsoft Active Directory® in the cloud. In fact, directory services has been one of the last IT infrastructure components to make the leap to the cloud. 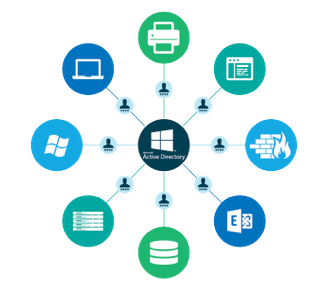 Microsoft Active Directory has been the on-prem market share leader for directory services. It was released in 1999 to a completely different market than today’s IT environment. Microsoft Windows was the dominant operating system platform, and virtually everything was hosted on-prem. The concept for AD made a great deal of sense. As a domain controller, it enabled end users to log into their Windows device and subsequently have access to virtually all Windows-based IT resources, including applications and file servers. Does Active Directory® in the Cloud Really Exist? As the world started to shift to the cloud, there were frequent discussions about moving Active Directory to the cloud. Unfortunately, IT admins were met with a great deal of skepticism relating to security and AD’s dominance. It just didn’t compute for people that AD should be moved to the cloud. In fact, it didn’t make sense to Microsoft itself! 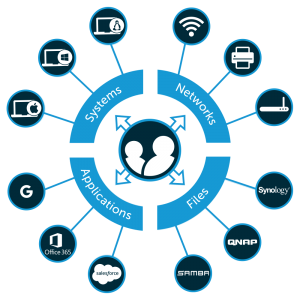 They decided to create a completely separate cloud identity management solution called Azure® Active Directory®. This cloud-hosted directory is really just a user management system for Azure and Office 365. Therefore, the concept of a cloud-hosted Active Directory doesn’t really exist from Microsoft. Of course, there are third-party hosting providers that will create an AD instance for you in the cloud, and you are responsible for managing it. These solutions are really just saving you the hassle of procuring a server and putting it in a data center. The administration, management, and security of the system are really up to you. There is another path that is reinventing what Active Directory could look like. It is a cloud-hosted directory service that is the next generation of AD and LDAP for the cloud era. 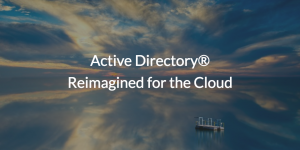 It is called Directory-as-a-Service®, and is your cloud-hosted replacement for Active Directory. Think of this virtual identity provider as your central, core authoritative directory service across your infrastructure. As a cloud directory, the platform is central user management, LDAP-as-a-Service, cloud RADIUS, system management, True Single Sign-On™, multi-factor authentication, and much more. Not only is it an alternative to Active Directory but also hosted in the cloud, cross-platform, and independent. If you would like to learn more about what an alternative to Active Directory in the cloud might look like, drop us a note. Also, sign up for a free account and give it a try for yourself. Your first 10 users are free forever.